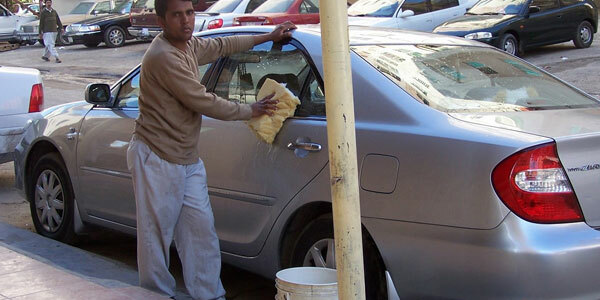 80% Discount on Your Car Wash!!! Would you like an 80% discount on your car wash? That’s what these chaps with a small bucket of dirty water and an even dirtier rag offer! A car wash is KWD 1 per wash and takes about half an hour to 45 mins and looks kinda clean after that! However a one month deal will cost just KWD 5 per month. Is this deal worth it? Suprisingly, this 80% discount offer is the same whether its the guy at your office parking lot, the City Center parking lot or even your building harass!